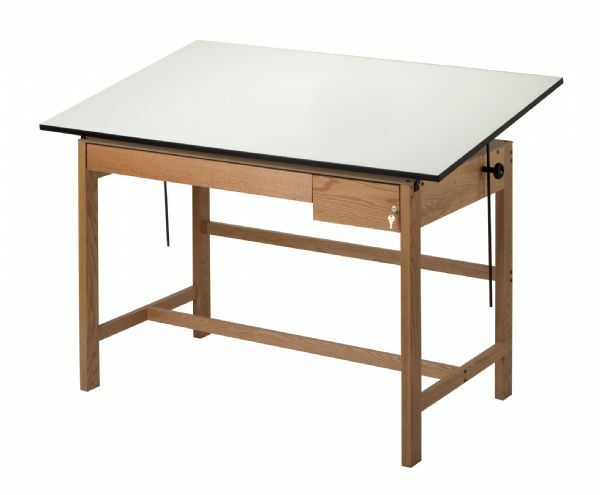 Tool and Reference Drawer Set for Titan II Solid Oak Drafting Table. * Consists of 23"l x 31"w x 1½" reference drawer and 23"l x 8"w x 3½" tool drawer with smooth roller bearing slides and keyed lock. The drawer material is melamine, oak. The drawer size is 23"l x 8"w x 3 /12"h.
36.5" x 26" x 5"